Go back to where you tripped, do not focus on where you fell. If you do not go back to where you tripped, you risk the chance of tripping over that same thing over and over and over again, creating a cycle of delays in the Spiritual manifestation. You risk the chance of the blessings coming, but you will not be prepared to take hold of it, love it, water it and grow it. God Will send a friend, an acquaintance, a stranger, and sometimes an enemy with a prophetic Word from Him to us. Why do many of His people ignore Him when God sends them a Word/ Prophesy, of What is to Come? Why didn't they joyfully in expectation of Love, bring it to God to have His Spirit confirm it? His Love for us provides to us His Spirit Who gives us the deeper meaning that lays beneath the surface of the words = deeper meaning is the revelation. Even if what we are told did/does not connect with what is already in our Spirit, even if what we were told did/does not make sense to us = in the name of Jesus, We are to Bring to God everything so that He Will get the Harvest. We should Not reject His direction because we do not understand it, He could Very Well be providing to us New directions, New Understanding, New Wisdom, New From God that we need! Walking by His Spirit is What we Are called to do All day- Every day. Self keeps us from Walking by, Living by, Seeing by, Speaking by, and Loving by the Spirit of our Lord God. So when you are not living each day within His Spirit, you are living by your flesh, by your small knowledge and wisdom. That is one place you will trip and fall, and here is where we realize the truth we Had Been told, Is the truth. Many times when the Lord Speaks a prophetic word to us, it may not be aligned with What we Want to do or hear, it does not match with the plans we have made for ourselves, it may be about us and How we need to change a behavior, to change a mindset that is holding us hostage to darkness, to reveal to us a truth about our character that Needs to be acknowledged! It may be about a mistake we made and God wants to Correct this mistake. Are we going to accept that we made a mistake? Are we going to face this Truth and allow His correction to Re-Position us to where we Should be? Some cut off the messenger to say, "oh I know that!" Some smile and say "Amen", and turn around and dismiss the truth they have been told. No, you don't know this, and if you do, then why is God sending you the same message again? If you do know this, then why have you not done what you know then? This is what I ask when some say that to me. Ego, Pride, and living a lie makes one defensive. We think we know better. Other times we have received Word/Prophesy from God through another person and this new Word/Prophesy does not line up with that, so we just ignore it and dismiss it. We have decided that what we were already told feels right, it is right and nothing else will fit with it. Ohh, how dim we are for ourselves. Which is true? Which is wrong? This is when we are to Take it all to God in the name of Jesus and He Will connect it all together for us. First, How (the ways and paths the details) God sends us to accomplish What He Has Planned for us to do, is not our concern. 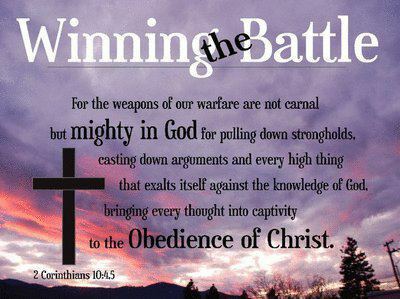 We are to Simply Obey His directions regardless of what we know and think in our little minds. Second, Spiritual and Emotional immaturity is most times the root ball of disobedience--Ask God to reveal to you Where you need to grow and mature, What is holding you back stunted in your spiritual and emotional growth and maturity covered in so much darkness. Our spiritual ears must be opened, to gain the benefit of Hearing the Lord. Our hearts must stay opened in order to allow Him to be able to clean them out completely as He transforms us. Our spiritual eyes must stay opened in order that we are Able to See His Love, and see everything and every one through the Spirit of Jesus. We need to Stay Spiritually Opened So that we do Not ignore the messages and messengers, that we do Not reject small beginnings, and the small works that we are called to do. Proverbs tells us that a friend is to sharpen us and we them. How can you be sharpened if you refuse to listen to the truth you NEED to Hear, accept and act upon? How can you be used to sharpen a friend if you are dull? We cannot Follow Jesus and indulge our self at the same time and Think we will be used or effective in His Work. We have to get to the point where Spiritual balance and clam are ours everyday. It is not our circumstances that is the enemy, it is Self that is the enemy. Attempting to blame others may be a lie. Our foes are usually in our homes. Look in the Mirror and make sure that you are killing self before attempting to blame someone else. With our Lord's Help, we are able to push past our flesh and allow our Spirit to Lead us, singing all the way. Remember, don't reject the message or worry about who God chose as His messenger. Thank God that His Love for you is Ever Working in you, for you and through you! In the Name of Jesus, Unto YOU my Father God Do I Bring my Whole Life--thank You for saving me from myself! Guide me, Heal me, Restore me, Use me, Protect me, Love me, and Let me be Your Instrument of praise and Love, so that All will see How GREAT YOU ARE! In the name of Jesus, So Be It!